This time from Amazon.com, 20 free songs from people you have actually probably heard of. Folks like Amy Grant, David Archuleta, and Rascal Flatts. This offer is only good for one week, so get busy and get your music! 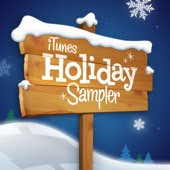 Click here to download your iTunes Holiday Sampler.